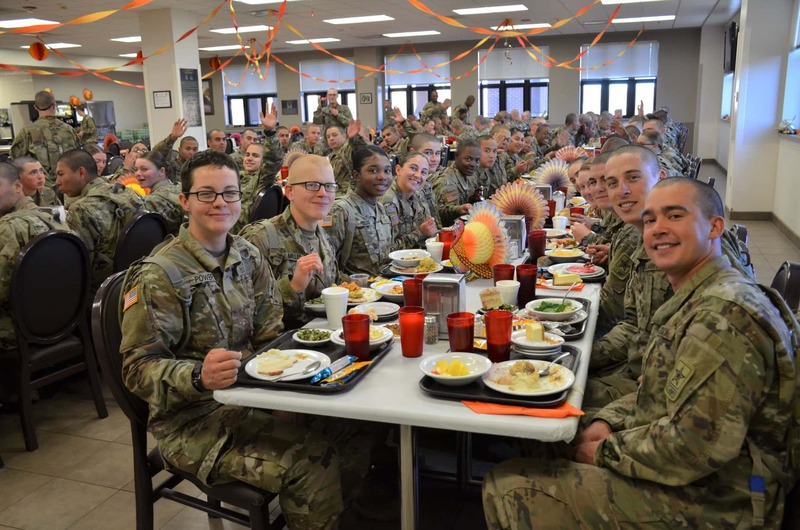 The military service members at Fort Leonard Wood were well fed on Thanksgiving. Fort Leonard Wood held its traditional Thanksgiving Day celebration Thursday in several of its dining facilities on post, with meals for service members and guests. To feed everyone, there was 7,000 pounds of turkey, 1,200 pounds of shrimp, 2,000 pounds of beef and assorted cakes and pies with all of the accompaniments. William Moffitt, Installation Food Program manager, describes the annual feast as the “Super Bowl” of meals for the installation. He says more than 400 food service employees prepare, and then serve the meal, with unit commanders. Moffitt said it’s great to see everyone enjoy the meal, and he is proud to serve with the team that provided more than 11,500,000 meals to military service members this year.